Black Friday deals through the end of November! Get your Black Friday shopping started now with discounts and blacked out pedals! We’d like to first introduce the blacked out Chick-del-A, available here. We’re using all of the proceeds from those sales to offset our NAMM Show expenses. On top of that, get 15% off your whole order by using coupon code BLACKFRIDAY18 at checkout! 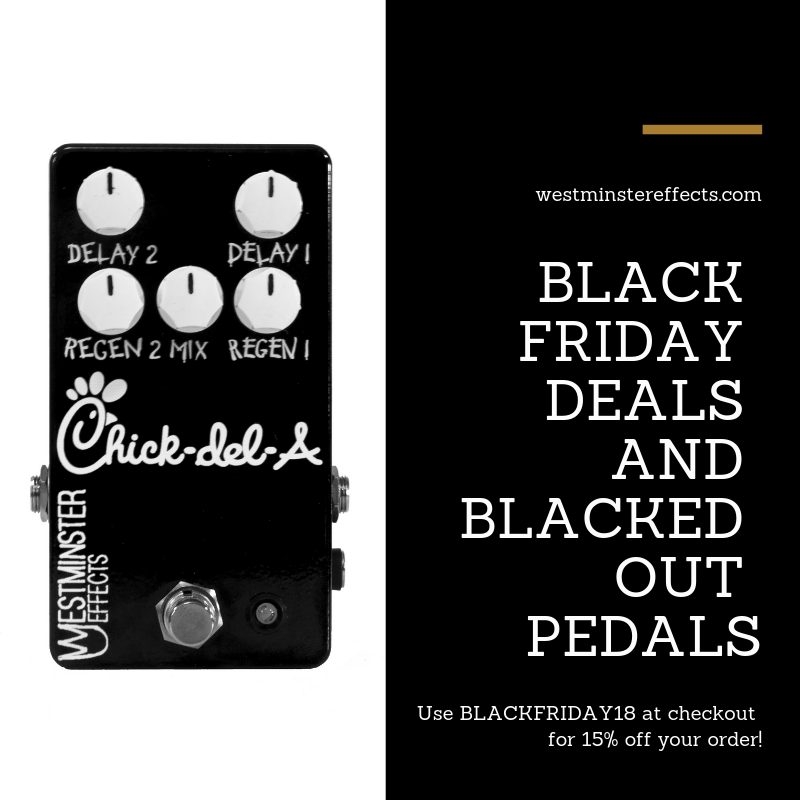 Cyber Monday – Blacked Out Osteen Distortion!